We are also offering to our clients a wide assortment of Thread Cutting Tool Die. These are made with HSS & CTS. The main advantage of this die is that it provides adjustable circular threading dies and preferably used in hand die- stocks and machine die holders. Thread and serration cutters are available from a fine-toothed cutter which gives the smoothest cut. Advantageous for all materials when the width of bevel is below 15 mm(59"). A medium serration cutter. Suitable for large bevels on small work-pieces. A coarse serration, recommended when performing maximum dimensions of bevels on large and heavy work-pieces. Noble Fastotech offers Thread Cutting Taps. 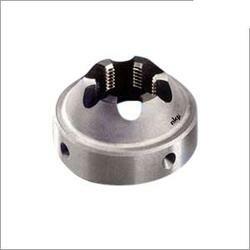 Helicoil Threading Taps are available in HSS material as standard and in other materials such as HSS-E. Coated taps with TiN or desired special coatings can also be provided. We are the importer of all sort of multi purpose thread trimmers in various models. 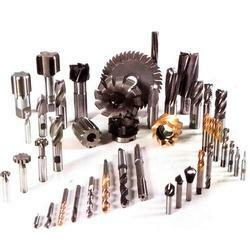 We are a Thread Cutting Tools supplier in Chennai. We are a leading supplier of Testing and Measuring Instruments, Inspection Instruments in Leading Brand Mitutoyo and other brands. These brands are available for Competitive price to our customer. Our offered Thread Cutting Tools offers the optimum solution in a safest and most efficient way. These tools are proven to be extremely effective and durable when cutting composites. These have impressed our patrons with its excellent make and a favourable ratio of price and performance. Our organization is ranked amongst the reputed names in the market for providing Threading Cutting Tool. Furthermore, we present this at nominal prices. Offered thread-cutters are compact in size and enable easy cutting of required amounts of thread. These are highly appreciated by clients as they can be carried anywhere and are highly portable. In order to retain our goodwill in this industry, we are providing a qualitative array of Thread Cutting Chaser. We supply quality range of hss and tct cutting threading tools. These are widely demanded by various processing and manufacturing industries, to generate internal thread (taps) and external thread (die) in any material. Custom designed as per the specifications given by the clients, these tools finds wide application in number of industries. We bring forth a wide range of thread cutting tools which find different applications in varied industries. We customize our products as per the changing cutting needs of our clients. These are available in 3 tap i.e. taper tap, second tap and final tap that can be represented as Article no. 230 ......-1, Article no. 230 ......-2 and Article no. 230 ......-3 respectively.